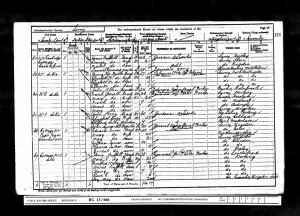 Harry Duffell was born in the 2nd quarter of 1893 in Dorking, Surrey to Henry Duffell and Mary Ellen Duffell nee Stemp. Harry’s father Henry Duffell was born on the 10th of July 1862 in Leatherhead, Surrey to shepherd and labourer Jonathan Stemp, born about 1824 in Betchworth, Surrey and Mary Stemp, born about 1825 in Shere, Surrey. Henry was baptised on the 16th of August 1862 at St Mary & St Nicholas’s church in Leatherhead. Harry’s mother Mary Ellen Stemp was born in the 4th quarter of 1867 in Westcott, Surrey to labourer Allen Stemp, born about 1840 in Cranleigh, Surrey and Mary Stemp, born about 1842 in Dorking, Surrey. Mary Stemp was baptised on the 12th of January 1868 in Westcott, Surrey. During the 1881 Census, Mary was a servant to beer-house keeper Richard Jordan of Stephen Langton Beer House, Friday Street, Abinger. In 1866 Mary gave a birth to Winifred Mary Stemp. Winifred, Mary Stemp was born out of wedlock in the 4th quarter of 1866 in Dorking and she was baptised on the 10th of October 1866 at St John’s Church, North Holmwood, Surrey. The baptism register states only the name of Mary’s mother. At the time of the baptism, Mary lived with Winifred Mary in North Holmwood. Winifred Mary married on the 28th of March 1910. On her marriage certificate she stated that her father was the painter Walter Stemp. Henry Duffell and Mary Stemp married by Banns on the 18th of October 1890 at St John’s church in North Holmwood. At the time of the marriage, the couple lived in North Holmwood. 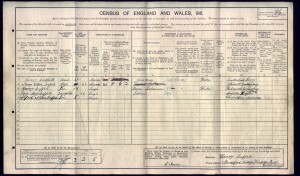 During the time of the 1891 Census, the family lived at Bens Brook Cottages in Holmwood. Henry was working as a cowman and Mary was at home. Harry Duffell had one half sister and four known blood siblings: Winifred Mary Stemp born in the 4th quarter of 1866 in Dorking, Surrey (half sister); Annie Duffell born in the 3rd quarter of 1891 in Dorking, Surrey; Rose Ellen Stemp born in the 1st quarter of 1895 in Dorking, Surrey; Ivy May Stemp born in the 1st quarter of 1901 in Norbiton, Kingston upon Thames and Alfred Allan Duffell born in the 1st quarter of 1906 in Charlton, Middlesex. 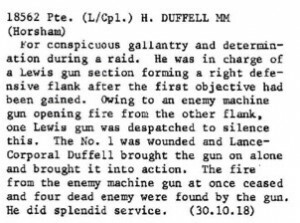 Harry Duffell was born in the 2nd quarter of 1893 in Dorking, Surrey and was baptised on the 9th of July 1893 at St John’s church, North Holmwood, Surrey. At the time of the baptism, the family resided in Holmwood and Henry was working as a labourer. At the time of the 1901 Census, the family lived at Cottage No 2, Pages Farm, Coombe Lane, Coombe, Surrey. Henry Duffell was working as a cowman on a farm and Mary Ellen Duffell was looking after their children: Winifred Maud Stemp, Annie Duffell, Harry Duffell, Ivy May Duffell. The household also comprised of boarder Joe Diskett, a cowman on a farm. At the time of the 1911 Census, the family lived at 1 Branford Cottage, Kingston road, Ewell, Surrey. Henry was working as a cowman and Mary Ellen was at home. Of their children, Harry was working as a farm labourer and Ivy May and Alfred Allen Duffell were scholars. Mary Ellen stated that she had given birth to eight children of whom two had died. The accommodation had five rooms. 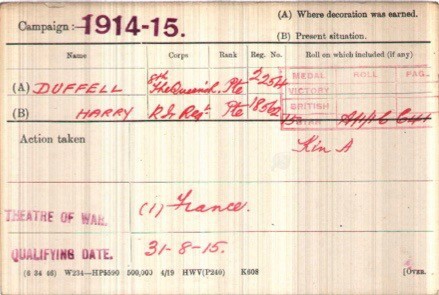 Harry Duffell enlisted in Cranleigh, Surrey into the 8th Battalion, the Royal West Surrey Regiment. 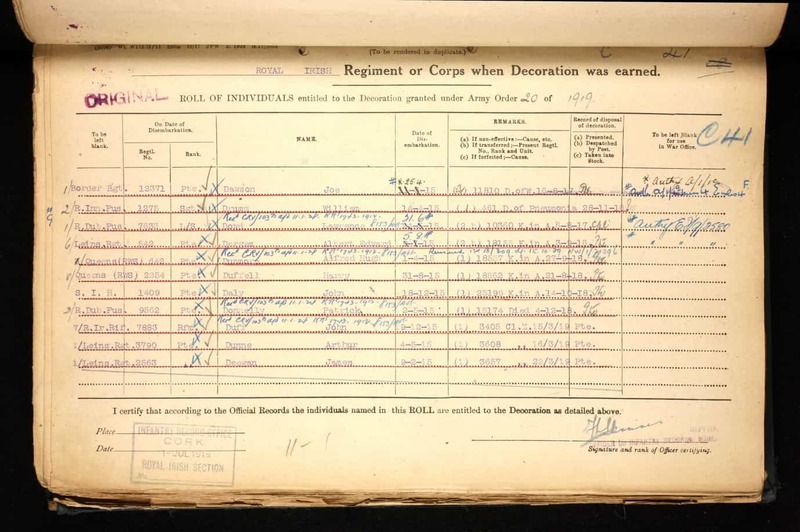 He was a private with a regimental number 2254. At the time of enlistment he resided in Horsham. 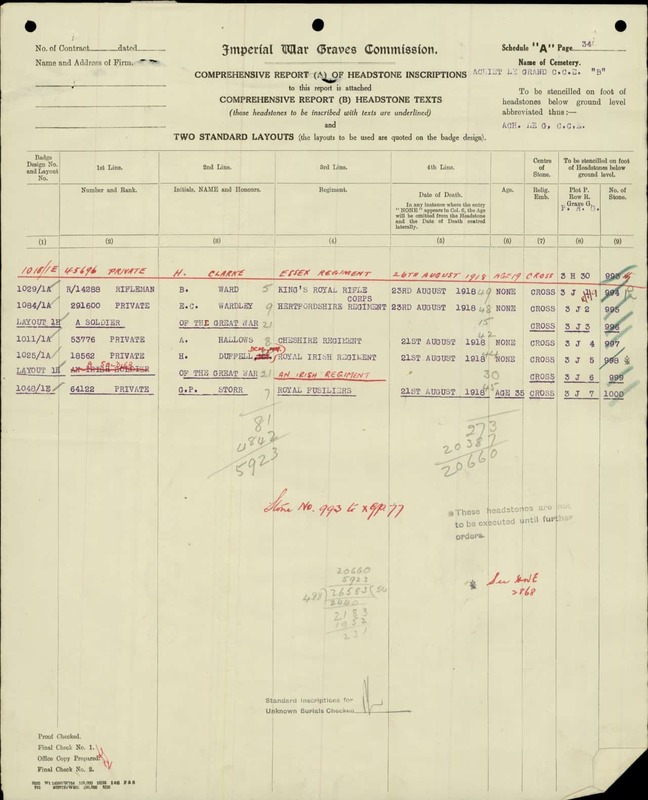 Harry disembarked on the 31st of August 1915 to France. 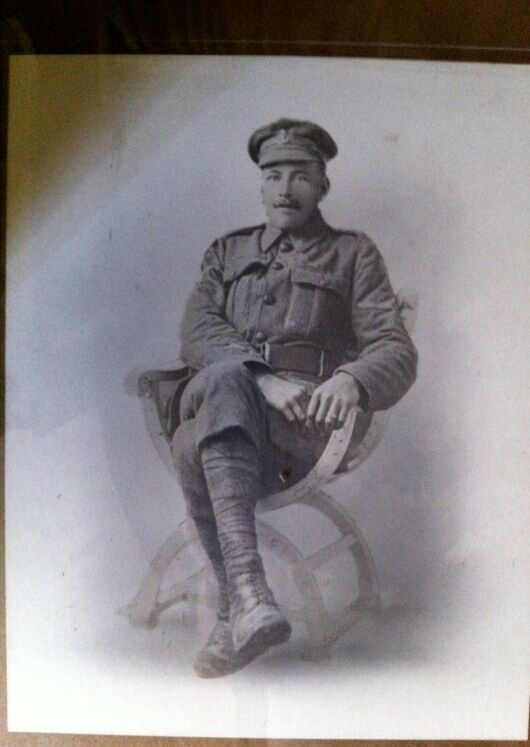 He was wounded in October 1915 as a private of the 8th Battalion, the Royal West Surrey Regiment. 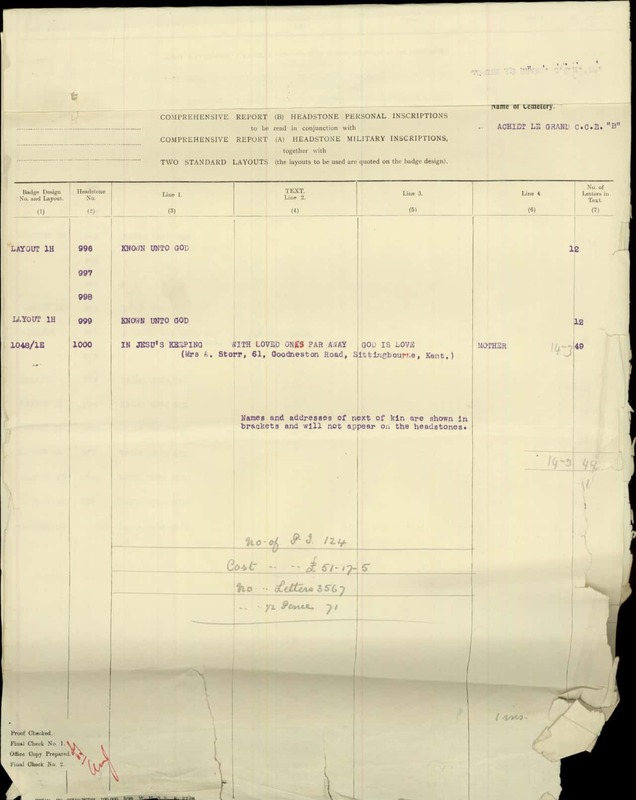 Later, he was transferred into the 2nd Battalion, the Royal Irish Regiment. 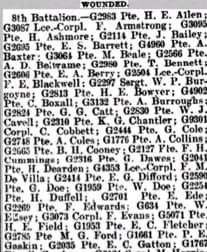 He was a private (Lance Corporal) with a regimental number 18562. 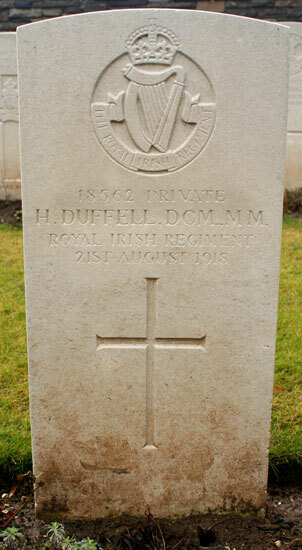 Harry Duffell was killed in action on the 21st of August 1918 during the Second Battle of Bapaume in France. He was buried at the Achiet-Le-Grand Communal Cemetery Extension in Fance. 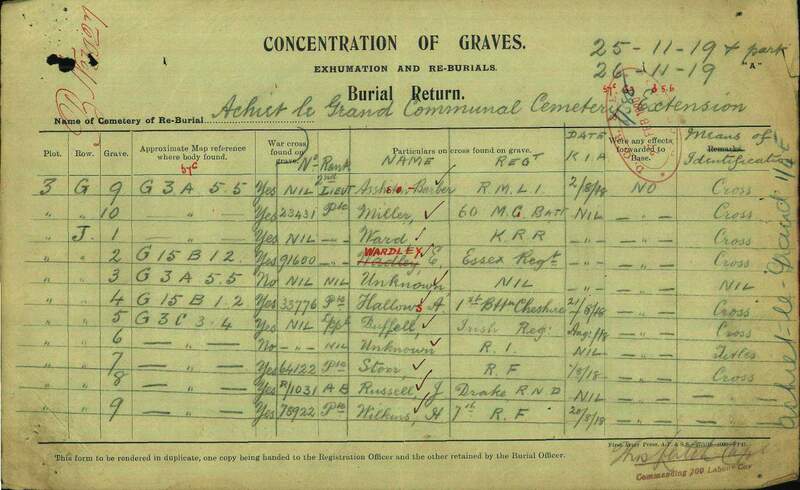 His grave reference is: III.J.5. Harry is also commemorated on both the Okewood Hill War Memorial Plaque and the Ewhurst War Memorial and listed in the Ewhurst Book of Remembrance. 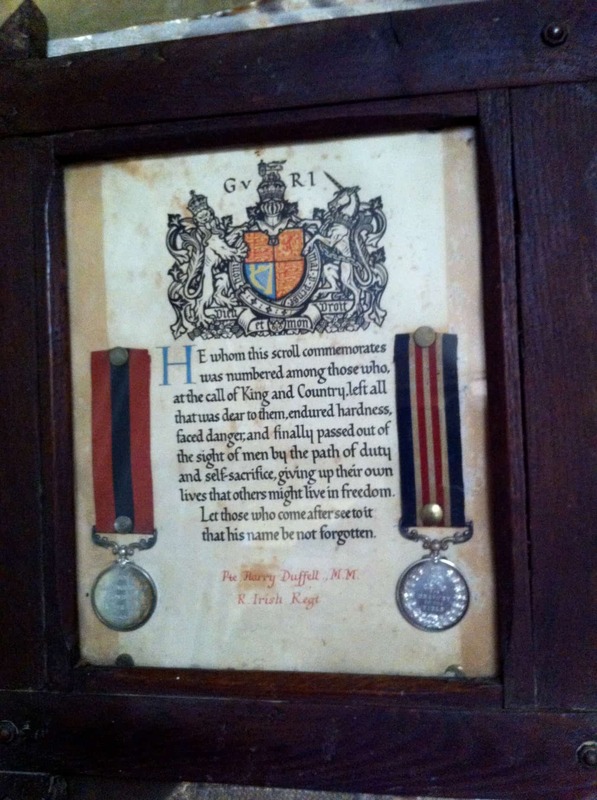 Harry received the British War and Victory medals and the 1915 Star. He was also awarded the Military Medal and the Distinguished Conduct Medal. 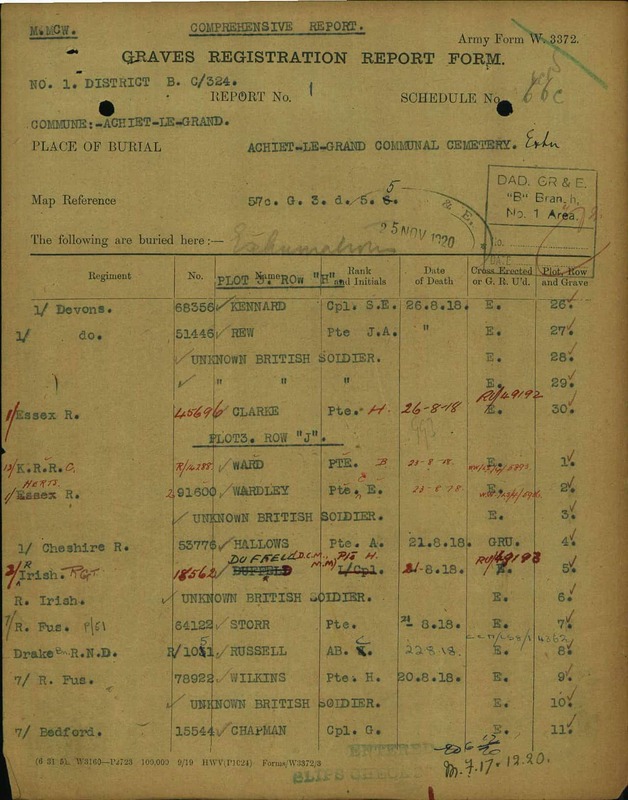 Harry’s mother Mary Ellen Duffell received £26, 4s and 10d on the 10th of February 1919 and £19 on the 9th of December 1919 in Soldier’s Effects.